Kilner have been making durable and high quality glass jars and bottles since 1842. Made in England. Non - toxic and BPA free. 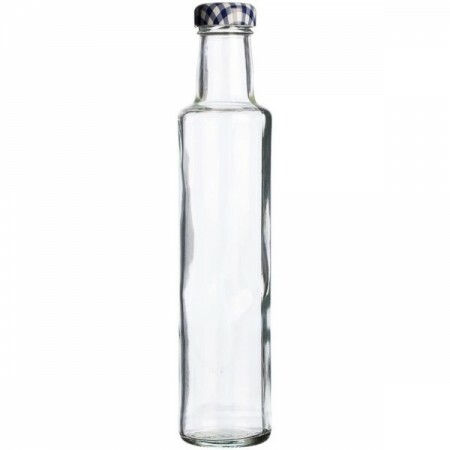 Twist top dressing bottle with blue pattern lid. 250ml. High quality glass jar designed to be reused. Distinctive pressure seal to seal in freshness. Blue plaid pattern lid perfect for gifting. Ideal for serving and storing dressings and oils. Great container to take to a picnic and BBQ. 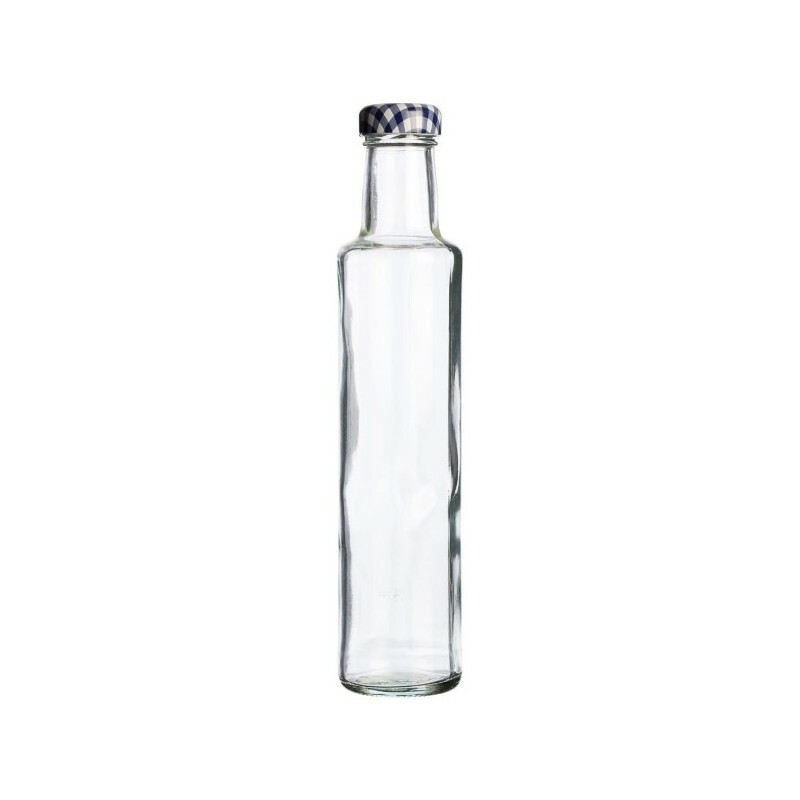 View our range of Kilner glass products. It's a well crafted glass bottle. I'm actually using it to store oil in. It's nicely designed and a decent size.